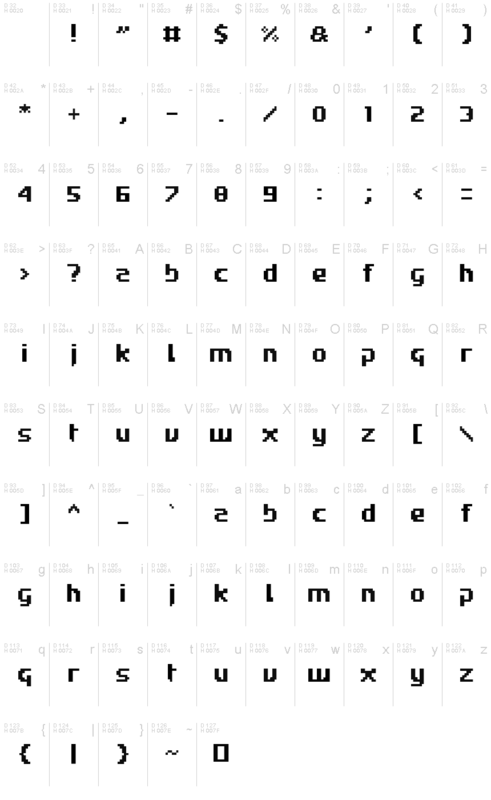 To recreate the original in-game appearance of this font, I recommend to choose font sizes that are multiples of 16pt and avoid any anti-aliasing or other font smoothing methods. Please contact me for any commercial use of my fonts. Copyright 2016 Caveras. All rights reserved. RoadWC98 by Caveras - based on the original main text font used in the FIFA: Road to World Cup 98 video game for the SNES (XYZ Productions/Electronic Arts, 1997).